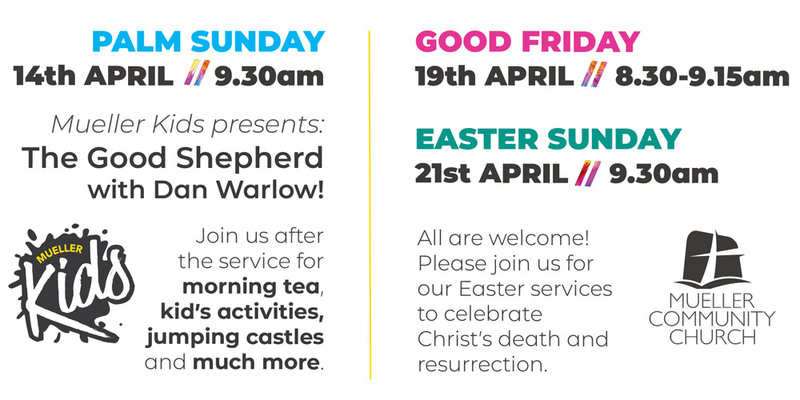 We would like to take this opportunity for you to join us for our Easter services this year. 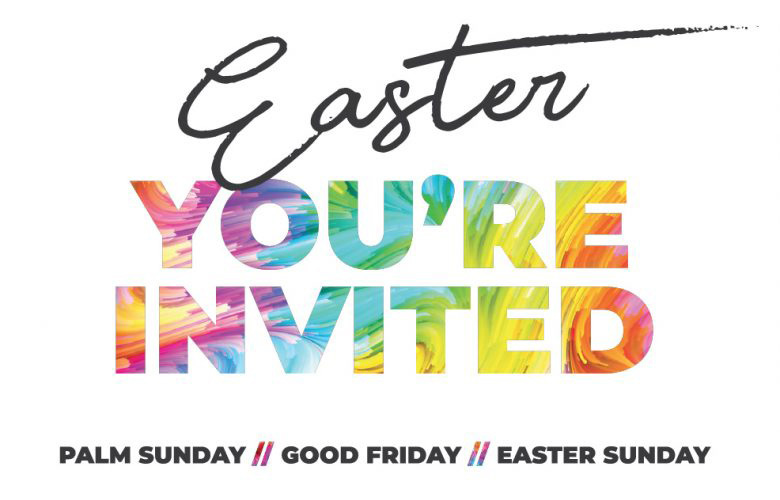 We have 3 services that you are welcome to attend. Never been to Mueller Church before, be sure to check out below for some details that will help you. Mueller Community Church meet inside the Main Auditorium at Mueller College at 75 Morris Road, Rothwell. Follow these instructions here and you will be able to find us. Who can come? Anyone is allowed to come, so be sure to bring your family and friends. We have a Kids Church program that runs each Sunday from 9.30am. We also have a Creche and a Mothers Room available as well. Not sure about something? Be sure to ask someone with a lanyard or a "HELLO" shirt. They will point you in the right direction. Our main service runs for approx 1hr 15mins. Our 5pm service runs for approx 1 hour. Be sure to stay for morning tea after our main service. We meet on level 2 at the back of the building. There is plenty of car parks available. It is best to enter in Gate 2 off Morris Road. DO YOU HAVE OTHER QUERIES?